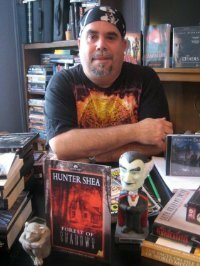 The 133rd episode of the Reading & Writing podcast features an interview with horror novelist Hunter Shea, the author of several novels and numerous short stories. Shea’s latest novel is SINISTER ENTITY. Hunter is also the co-host of the Monster Men podcast.